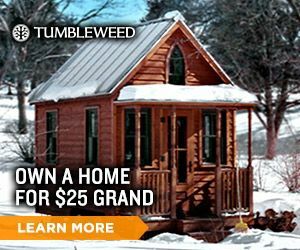 For those of you thinking that the small house movement is just too small, the B-53 (743/837 sq ft) was recently added to the Tumbleweed Tiny House Company website and is currently their largest home. 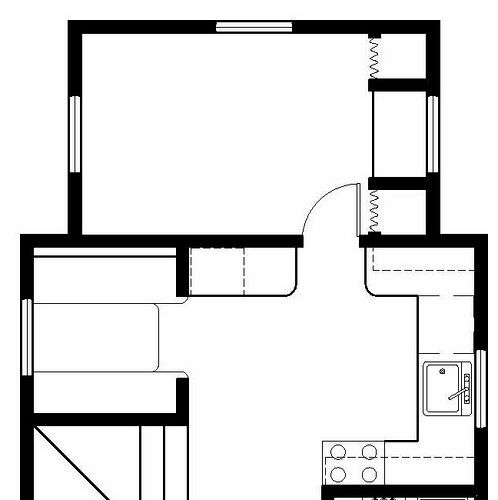 Choose two or three bedrooms, the plans are available online. 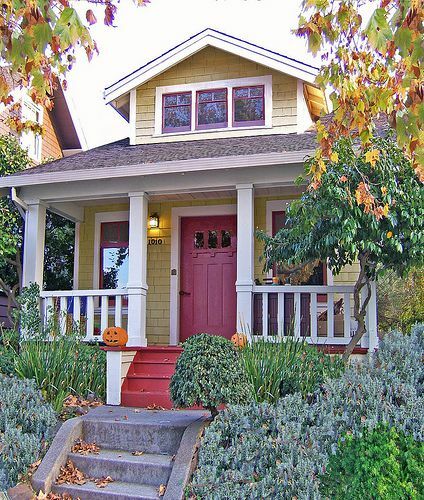 This is a stationary house, not one of their tiny homes on a trailer. Also, it is not a modular or prefab, someone has to build it at an estimated $150 to $200 per square foot. Save $200 when you purchase the plans before Dec. 24, 2008. 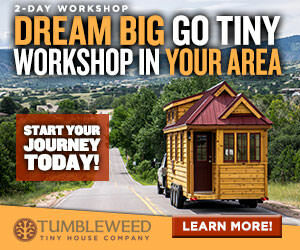 Originally $695… get them for $495 (navigate to “plans” when you get to the Tumbleweed Tiny House Company site.) Don’t miss the comments. 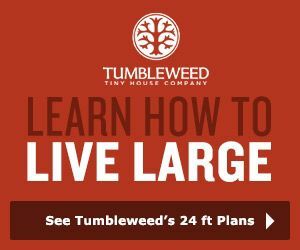 Learn more about the Tumbleweed Tiny House Company here. I thought one of the benefits of the tumbleweed homes is that you can avoid a mortgage, with the numbers provided that will be considerably more difficult with this house. The low end (743x$150) is $111,450, the high end (837x$200) is $167,400! that’s only slightly less than the mortgage on my home. I still like the idea though. Maybe its time to start learning carpentry skills and make friends with electricians and plumbers. It’s interesting how our perception of home size has changed so dramatically in the last 50 years. Prior to the 1970’s I suspect most homes built in the US were less than 1000 square feet and the families were larger as well. Our emphasis on size has virtually eliminated the benefits of quality space designed for efficiency and the maximization of use. 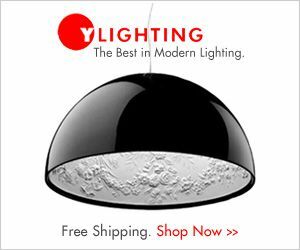 I appreciate your designs and the awareness you bring to more efficient living. How much of the cost per square foot is related to impact and other permit fee’s? Are there any programs available for building small that would offset some of the cost? 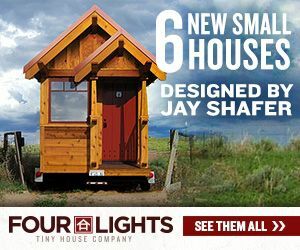 It seems that an efficiently built (smaller) homes would be just as environmentally “green” as many of the “new” technologies being explored. Less to heat, less to cool, less material used, etc. Can I have one built for me? I ask that question because I am a senior citizen, and live with my son who is in last year of college, we would love to have a home this small and easy to maintain, thank you. 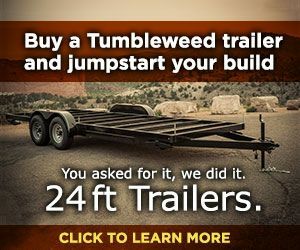 Your best bet is to get in touch with Jay and Co. directly via their site: Tumbleweed Tiny House Company. Best of luck! I love this house! 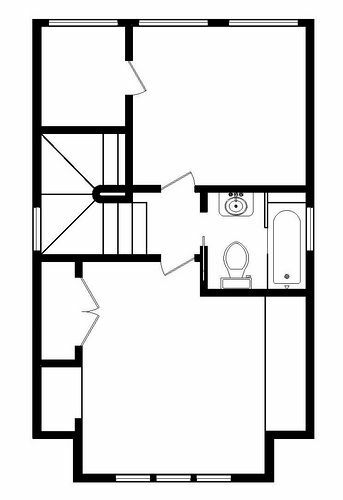 The only thing I would change a little is the downstairs layout. 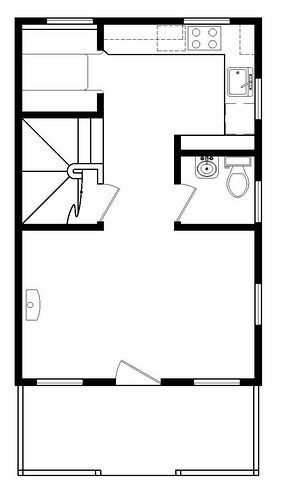 I would exchange the placing of the downstairs bathroom with the kitchen booth area, so that the kitchen flows into the living room to create a bigger space for entertaining inside the house.